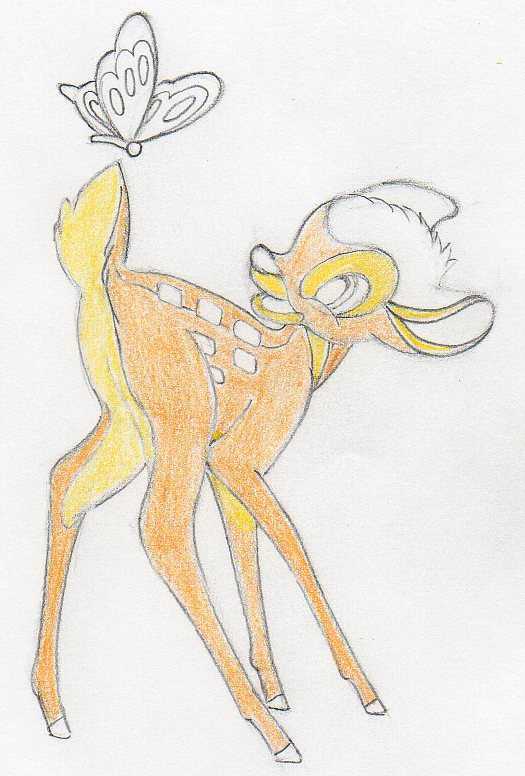 Let's learn how to draw Bambi, one of the cutest Disney Characters. Did you know that the original Bambi story book - Bambi, a Life in The Woods - was written by the Austrian author Felix Salter in 1923? It seems that the vast majority of the most beautiful fairy tales or bed time stories for children were written nearly 100 years ago or even earlier. Life was different then, time has seemingly passed much slower than now. 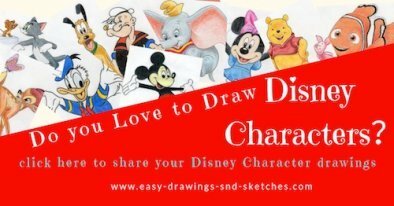 In this tutorial I show you how to draw Bambi character in few simple and easy to follow steps. 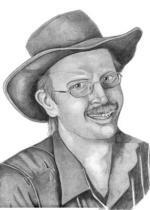 If possible, use a standard HB graphite pencil and paper. Have handy an eraser and a pencil sharpener too. All techniques on this website are basically the same, using the same or very similar drawing sequence. 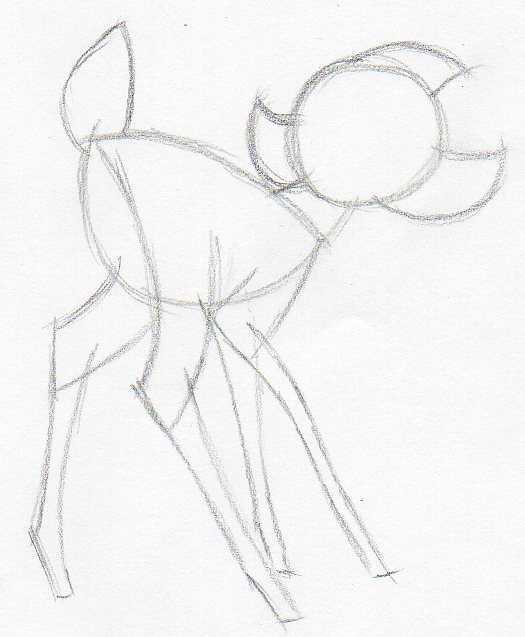 Drawing Bambi may not necessarily be one of the simplest drawings, so it may happen that some parts may be a bit challenging. But go ahead, grab the pencil and let’s learn how to draw Bambi today. 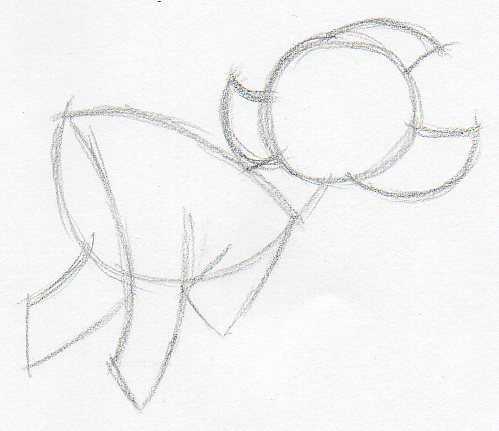 First, outline the basic shape of Bambi's body, neck and the head. Draw approximately the same shape as you see on this pic. Make very light pencil strokes, do not push the pencil, you will need to erase these pencil guidelines later. 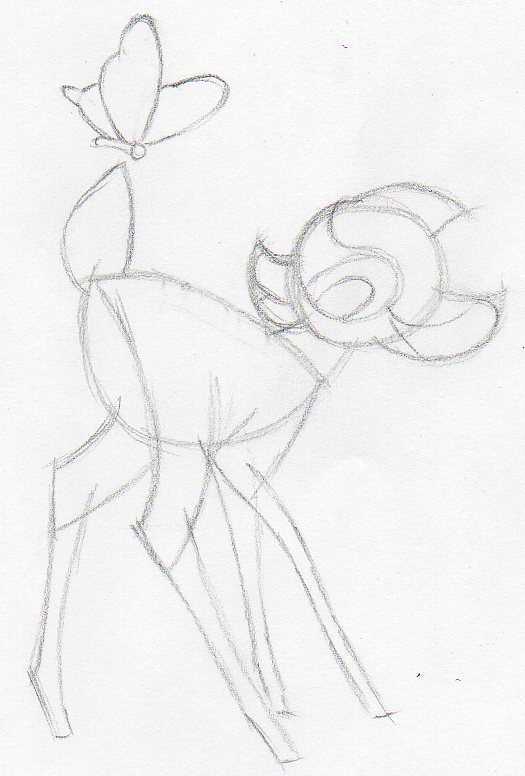 Make a rough sketch of Bambi's ears, nose and the upper part of the legs. Add the tail and the lower half of the legs. Just sketch out the legs very roughly, you don't need to focus on tiny details at the moment. The only thing you should be careful is the overall proportional balance of each of the body parts. 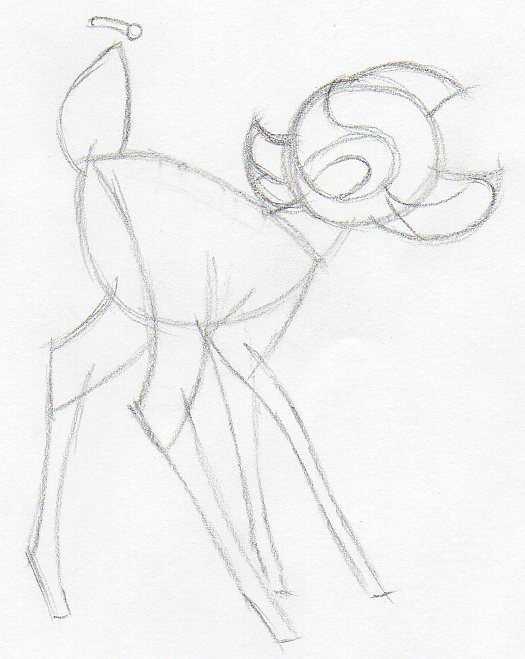 This is the part when I said that learning how to draw Bambi may not be necessarily the easiest tutorial. Anyway, you are here already so let's continue. 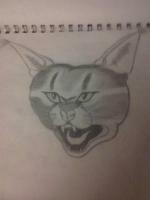 Outline the white part around the eyes and the mouth opening. Approximately outline the eyes and the brighter (inner) part of the ears. Begin sketching the body of the butterfly sitting on Bambi's tail. Now, let' s refine this rough basic sketch. Erase the initial pencil guidelines that are no more necessary now and are becoming obstructive. Bambi is gradually getting a realistic shape. Begin outlining the details on Bambi’s head, mouth, eyes and ears. 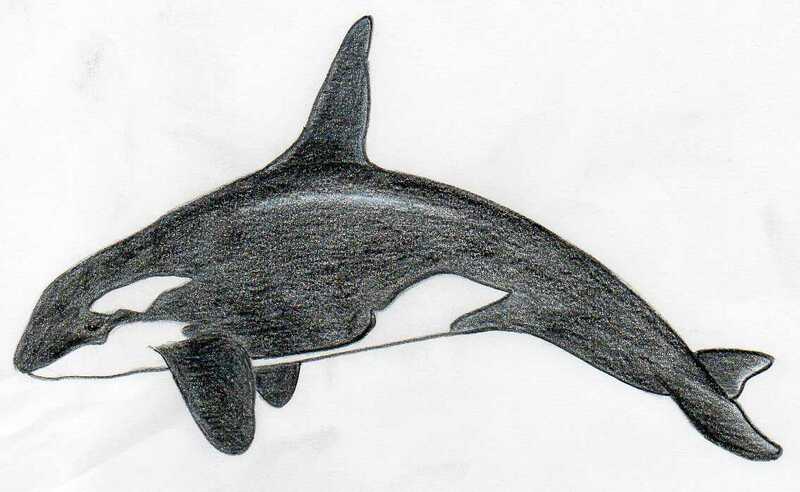 Sketch out the white dots on its back, and so on. 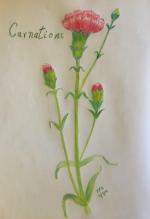 Observe well the picture and sketch it out in a similar way. Now you can also clearly outline the distinct lines on butterfly’s wings and butterfly’s body. 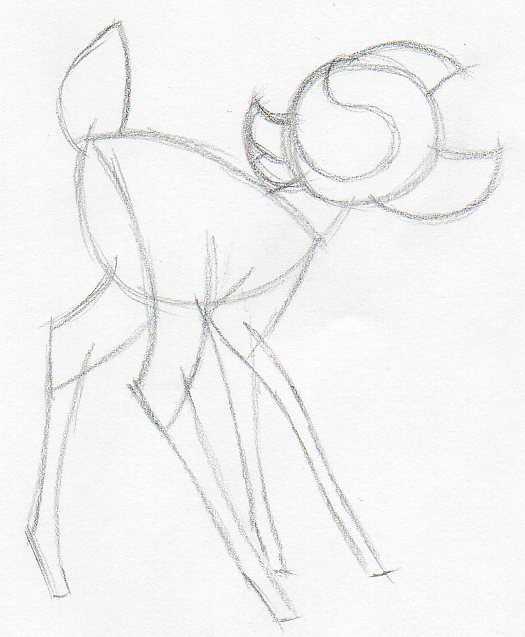 When you complete this stage you suddenly realize that you now know how to draw Bambi. You have completed the clear basic outlines of Bambi’s body and the butterfly above the tail. 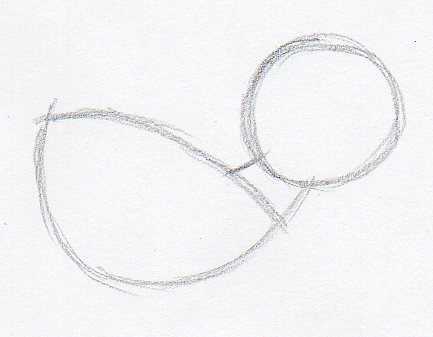 You have finished the basic outlines of Bambi’s body and the butterfly above the tail. 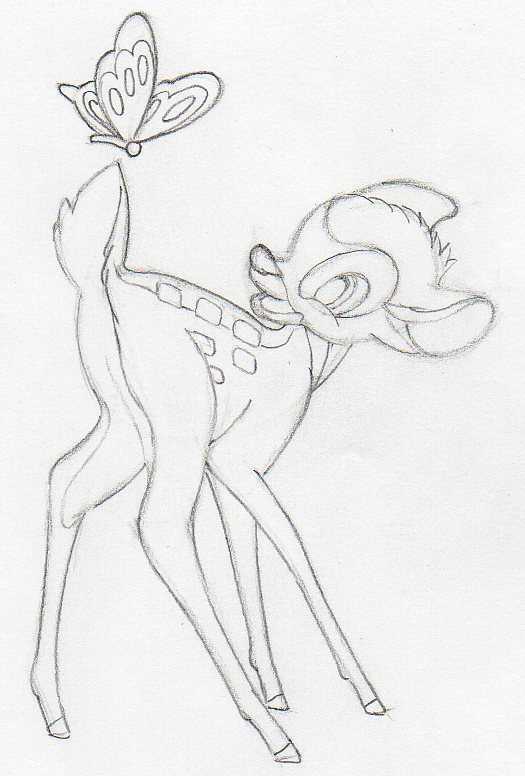 Now you have a Bambi coloring page sheet. From this step on, you are going to color Bambi. Coloring is a process where you have to gradually put color layers on each other. 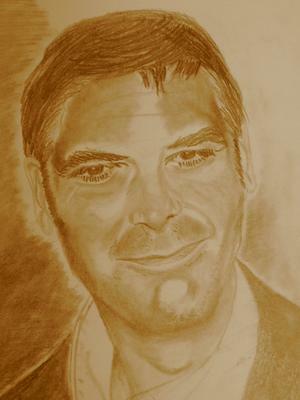 You will begin using the lightest color and gradually put other layers of darker color tones on each other. 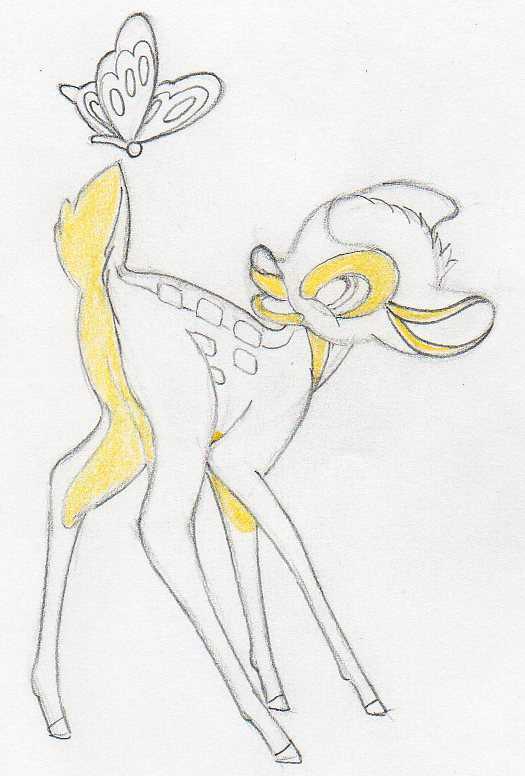 First, color out the brighter parts under Bambi’s tail, belly and area around eyes and ears. Observe the picture well and make it similar or better. 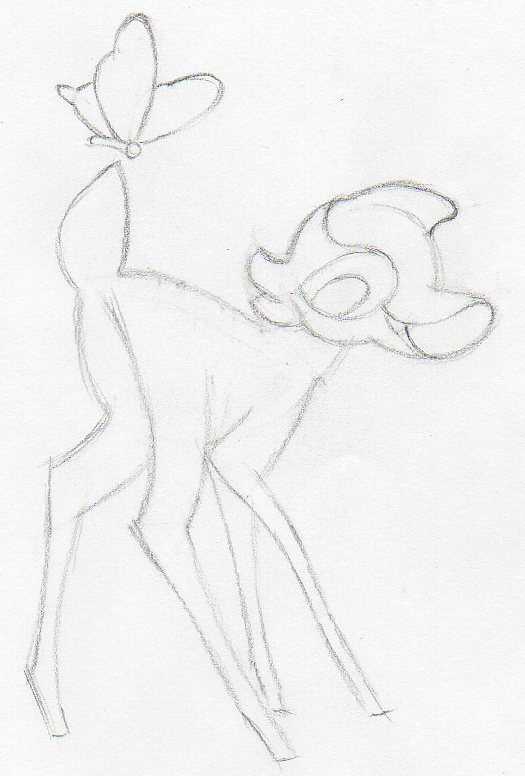 Now you gradually color the main part of Bambi’s body, the back, the legs, etc as you see on this picture. Add another layer or layers (as necessary) of brown and purple color. Observe the picture precisely and make the coloring in similar fashion. We all would love to see your Bambi drawing when ready. Important and cool detail: notice how all butterfly’s legs are concentrated on one single spot on the tip of the Bambi’s tail. 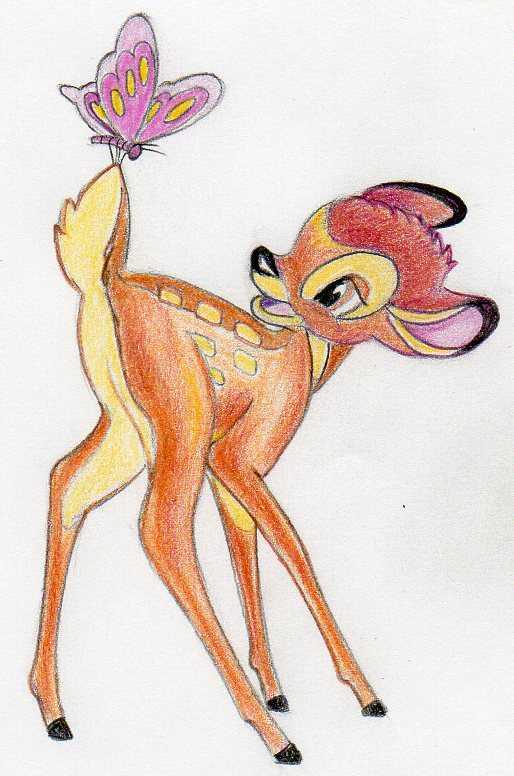 I am so excited you’ve learned how to draw Bambi. 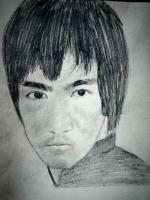 Please upload your drawing and share your work with us. We’d love to see it. Click on the banner below and upload your artwork.